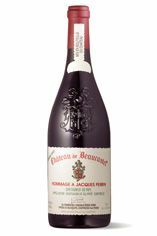 The Wine Advocate - The star of the show was the 2007 Chteauneuf du Pape Hommage Jacques Perrin, which in this vintage is a classic blend of 60% Mourvedre, 20% Syrah, and the rest Counoise and Grenache. Inky colored and insanely perfumed, with to-die-for notes of lavender, Provencal herbs, roasted meats, black cherries, truffle, crme de cassis and licorice, it flows onto the palate with massive concentration, a stunning mid-palate and a thick, rich texture that never gets heavy or cumbersome. This is blockbuster stuff that just could not get any better. Drink it anytime over the coming 3-4 decades. Parker - No Hommage a Jacques Perrin was made in 2008, but the 2007 Chateauneuf du Pape Hommage a Jacques Perrin is an utterly perfect wine. Composed of 60% Mourvedre, 20% Syrah, and the rest Counoise and Grenache, this prodigious effort boasts an inky/blue/purple color to the rim in addition to an exceptional bouquet of camphor, roasted meats, blueberries, black cherries, black currants, truffles, beef blood, pepper, and incense. The sumptuous aromatics are followed by a wine of compelling intensity, full-bodied power, perfect balance, laser-like focus, and a finish that lasts more than a minute. The 2007's texture reminds me of the 1998 Jacques Perrin, and the freshness of the fruit and explosive aromatics are to die for. There are only 500 cases of this legend in the making, but for those lucky enough to find any, it will last for 40-60 years. 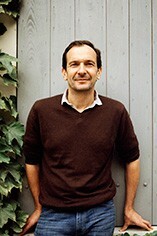 One of the great estates of the Rhone Valley, Chateau Beaucastel has been run by several generations of the Perrin family, beginning with the late Jacques Perrin (who died in 1978), then the brothers Jean-Pierre and Francois, and now their sons Thomas, Marc, Pierre, and Mathieu. Beaucastel has nearly 200 acres in vine in Chateauneuf du Pape, and they have branched out with an impressive operation under the Perrin et Fils label, purchasing grapes and acquiring land (in Vinsobres and Gigondas, for example). Their goal is to become the most recognized name for high quality wines in the southern Rhone. As shrewd consumers know, one of the best values in under $10 a bottle wine is La Vieille Ferme.